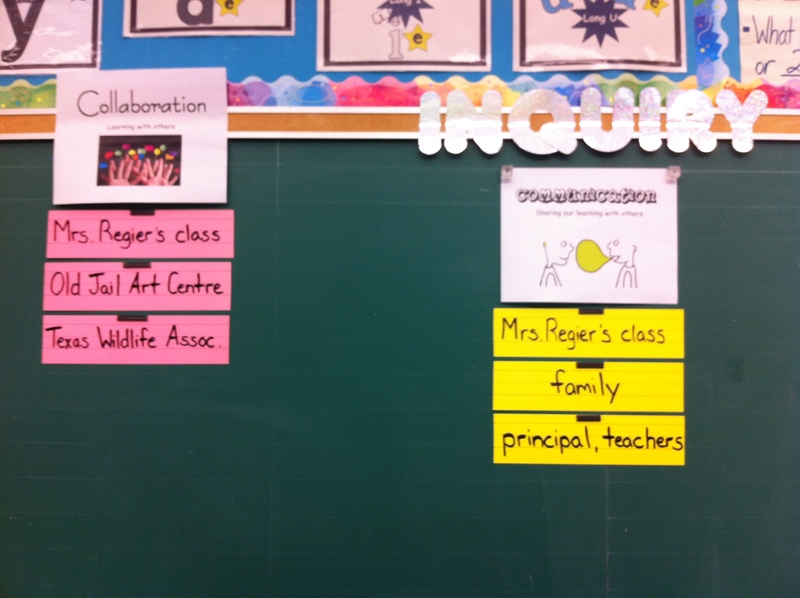 This week we set up an Inquiry Board in our classroom. Our Inquiry Board is a space where we share our learning. One of our learning goals is to focus on the ways in which we demonstrate creativity, collaboration, communication, critical thinking, and problem solving in grade 2. One of the ways we demonstrated creativity was making our iPad Rules posters. We have been collaborating and communicating with Mrs. Regier’s grade 2 class, our families, the principal, other teachers, and a variety of content providers from the Digital Human Library using video conferencing technology. Our focus right now is on Critical Thinking. We have a lot of questions about blogging! As we continue to add to our Inquiry Board we will share our learning with you! Leigh, you’re a genius! 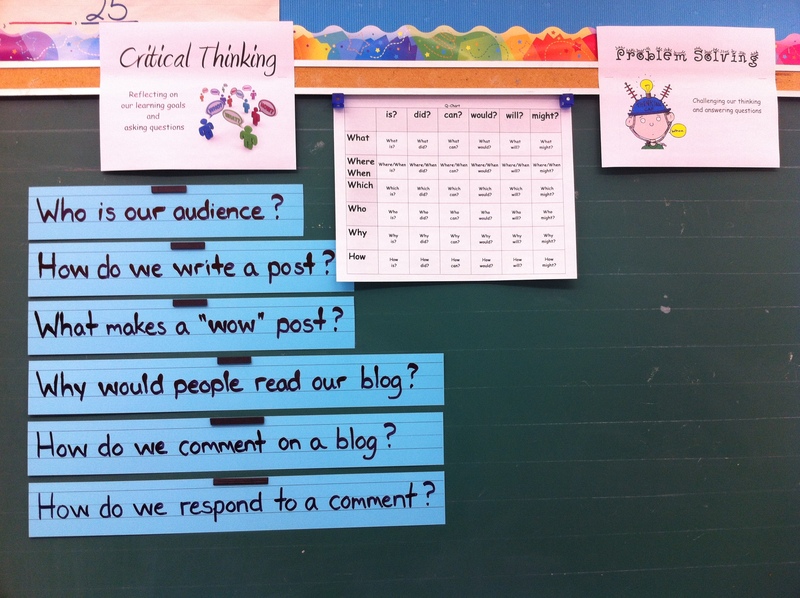 I am definitely going to start using your Inquiry Board idea in my grade 2 class too!